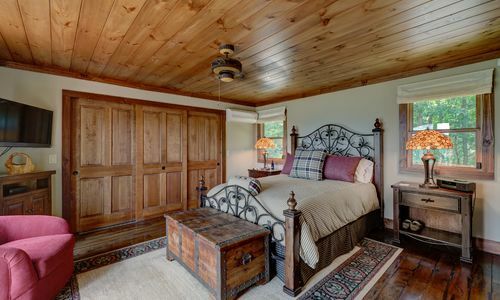 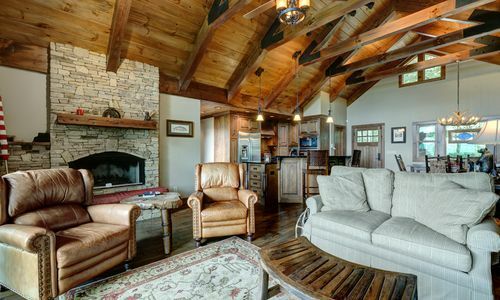 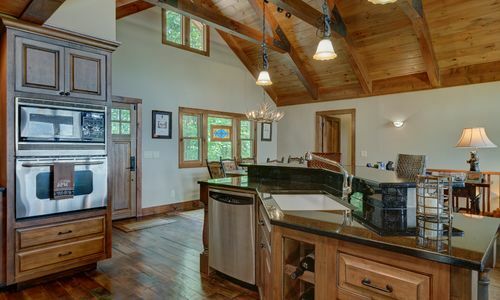 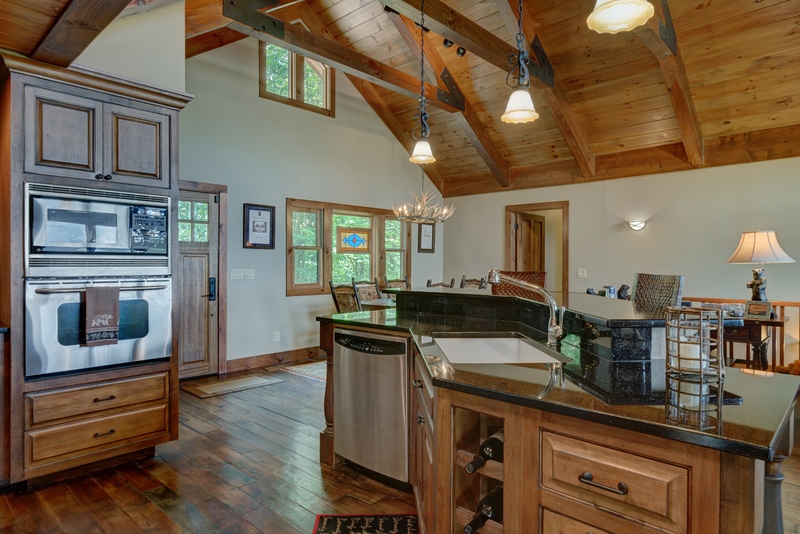 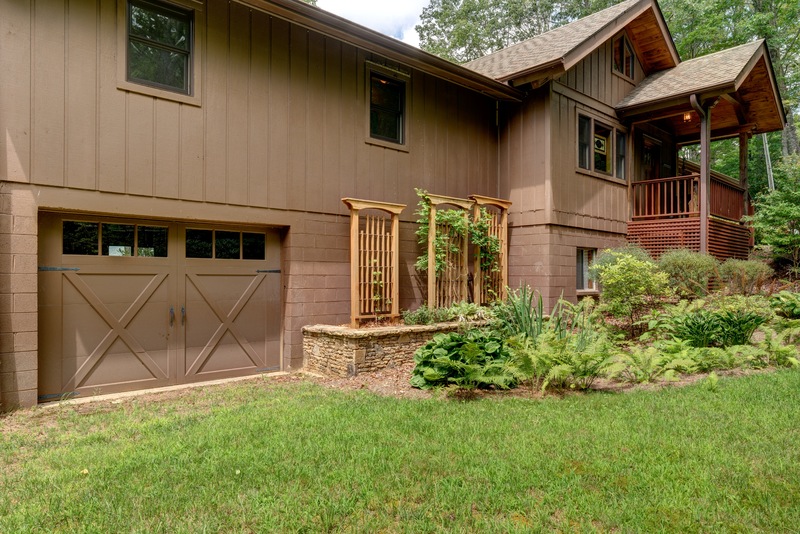 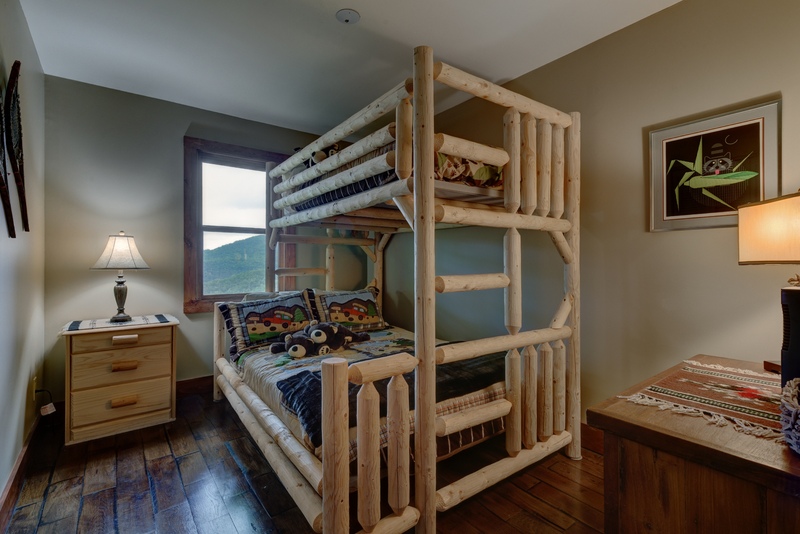 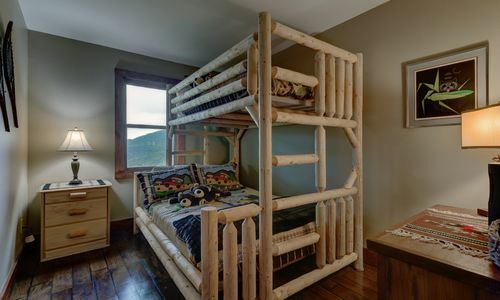 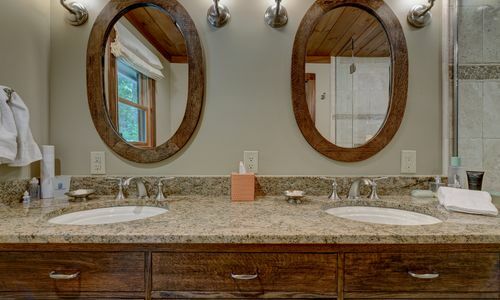 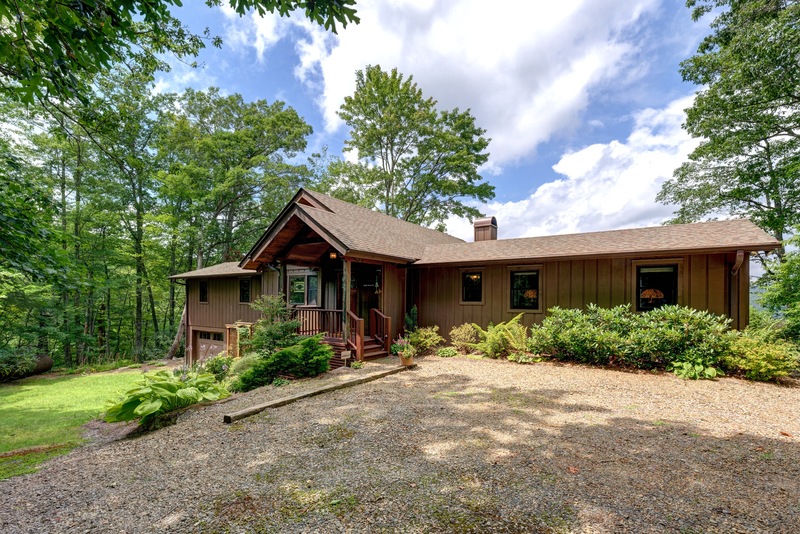 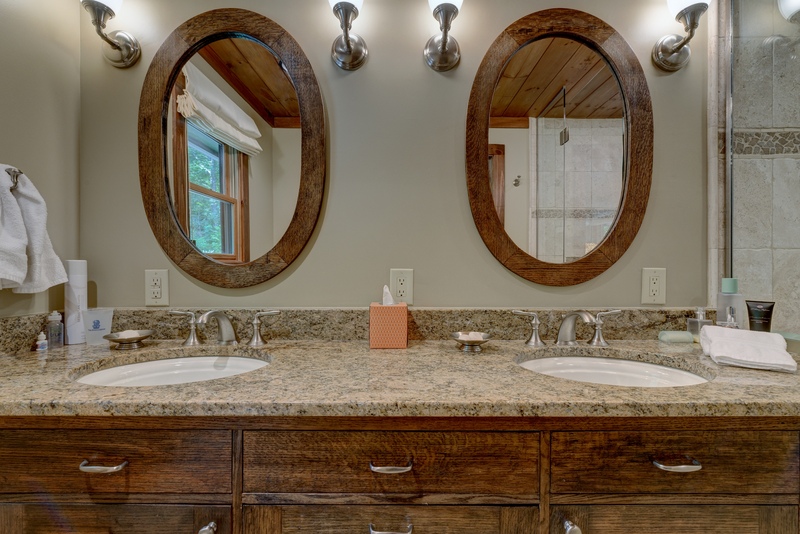 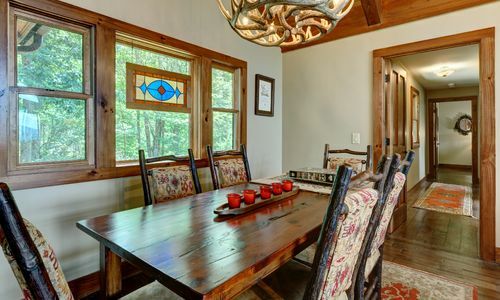 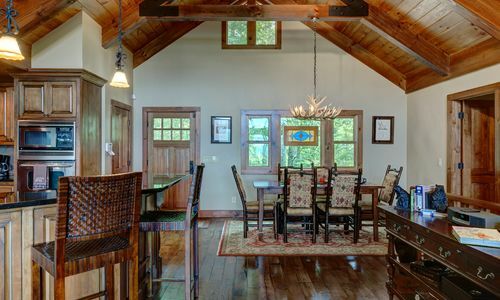 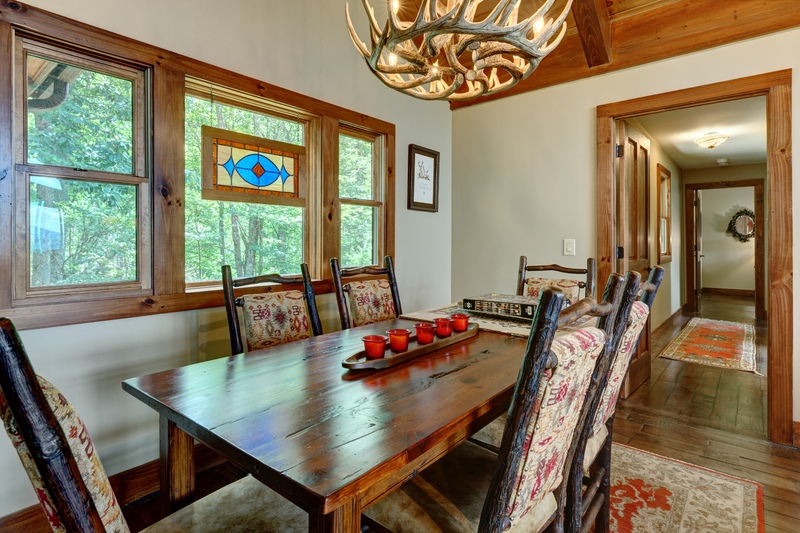 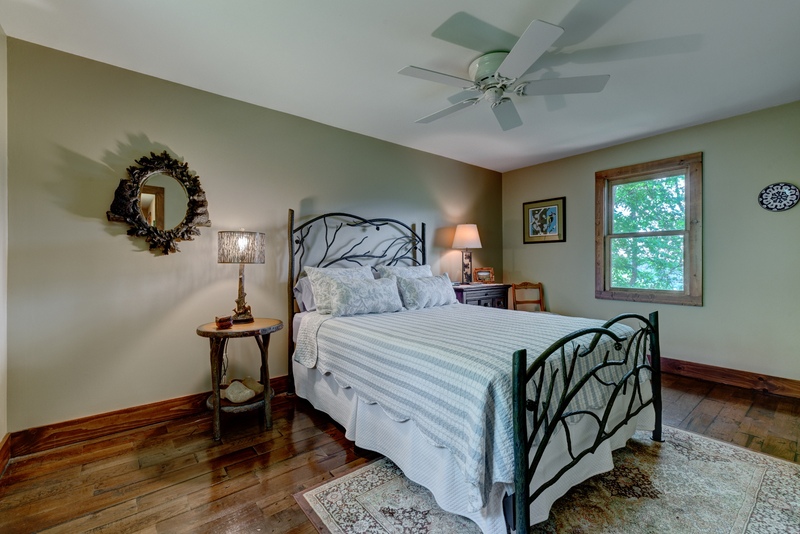 Nestled next to the national forest, this home is privately set on Panther Mountain. 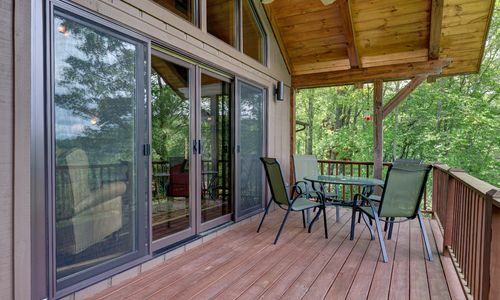 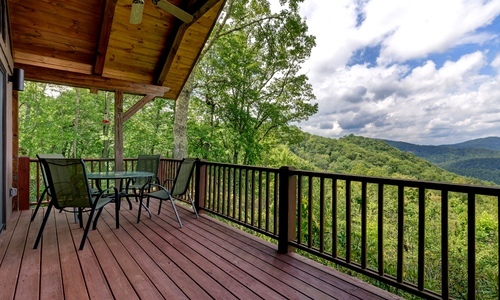 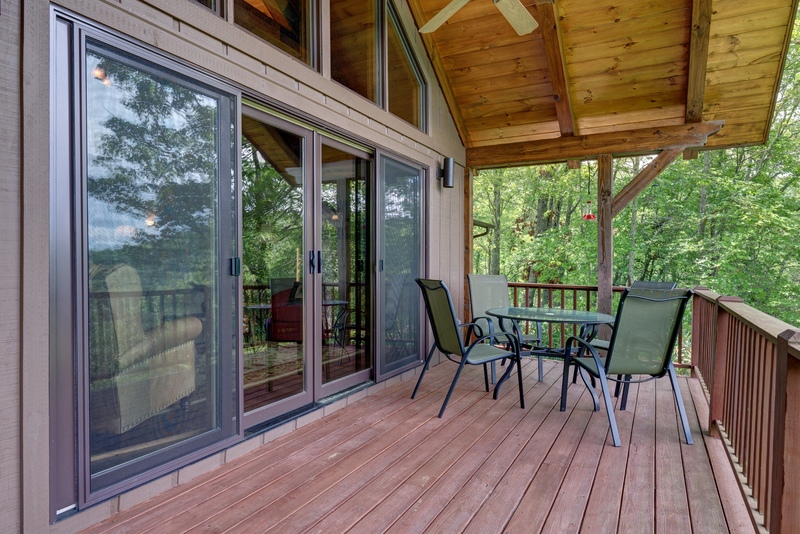 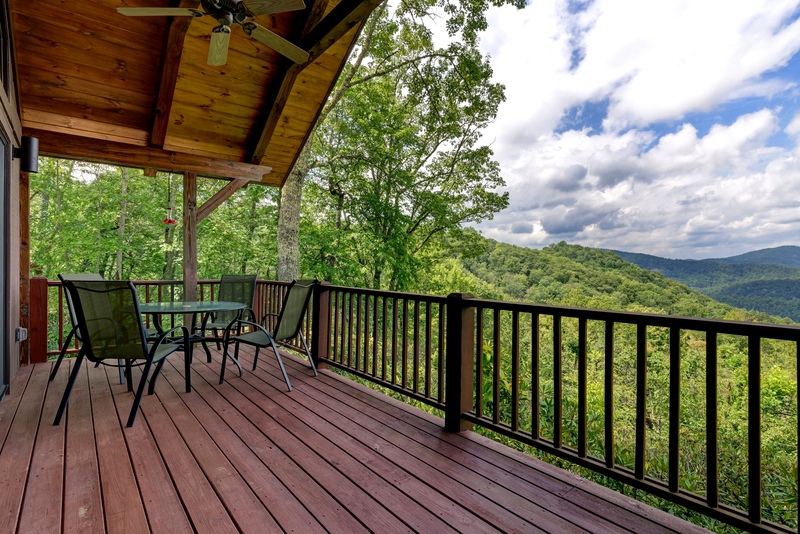 Enjoy the peace and quiet while sitting out on the back deck enjoying the truly stunning views. 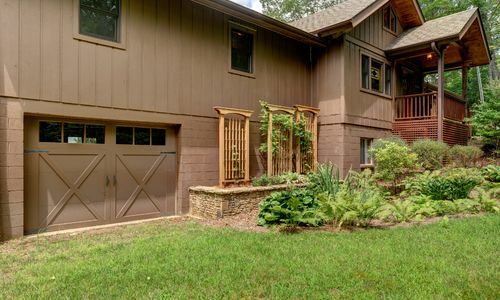 You will fall in love with the coziness, charm and privacy this home has to offer. 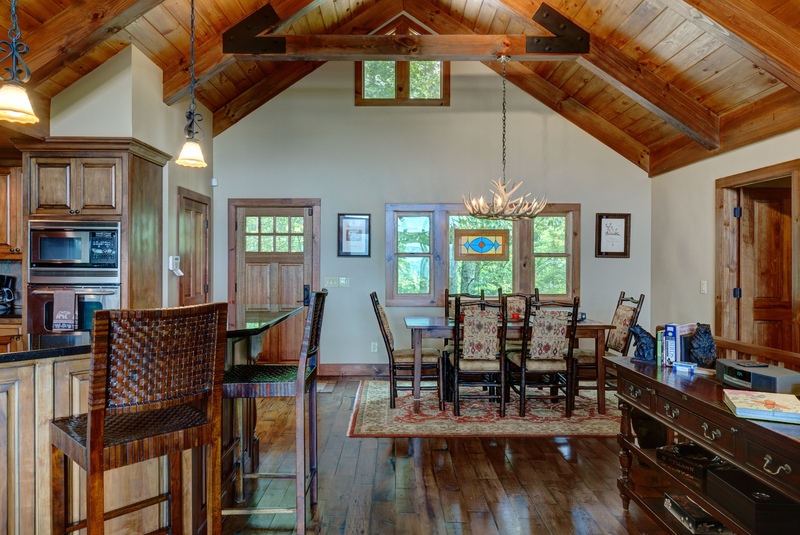 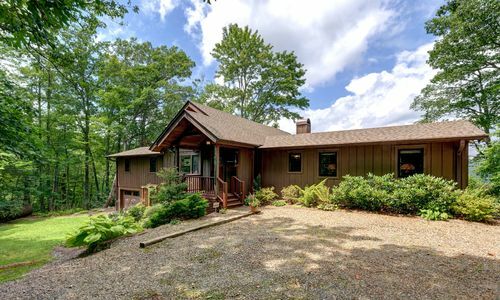 This updated open floor plan and mountain home with whole-home generator is the perfect weekend retreat or year round home. 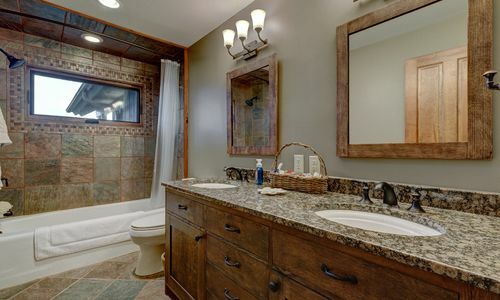 Hardwood flooring on the main level, beautiful tiled baths and high-end fixtures throughout. 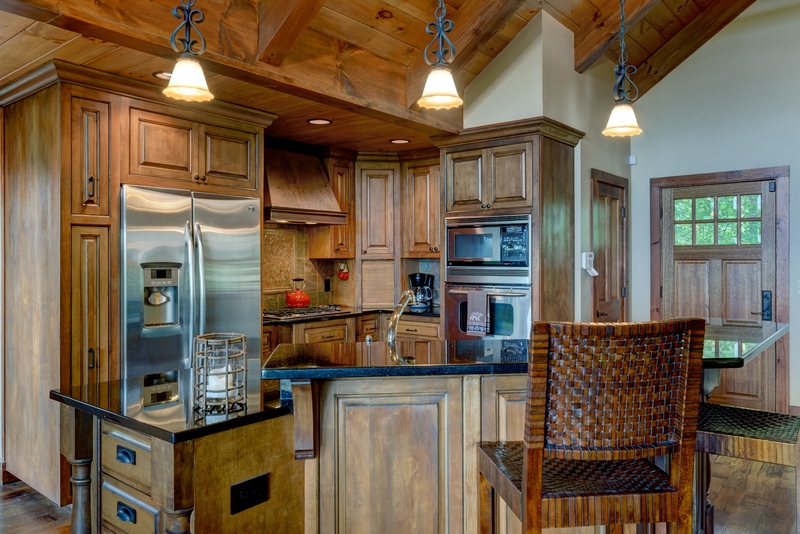 The kitchen is adorned with stainless steel appliances, built-in cook top affording more cabinet storage, and a beautiful custom breakfast bar with granite counter tops. 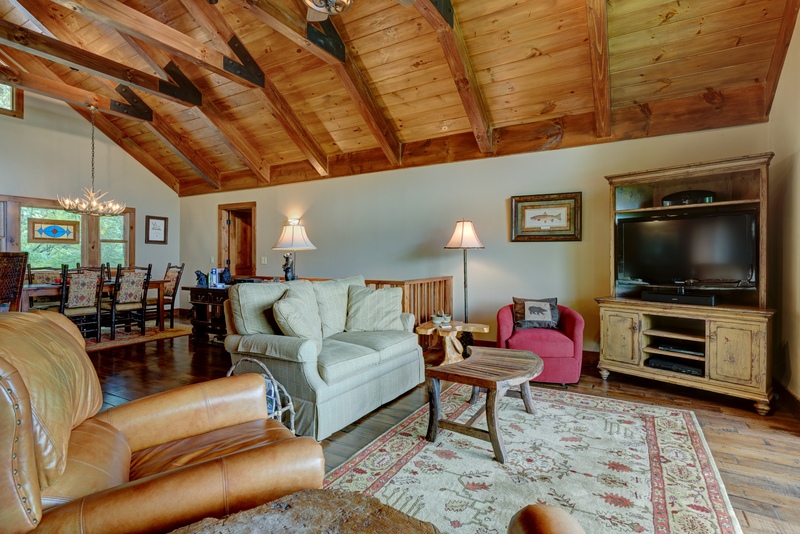 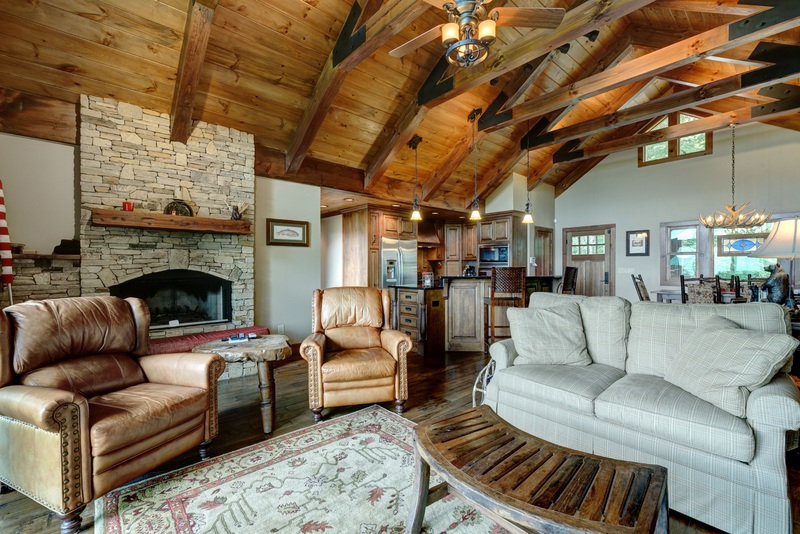 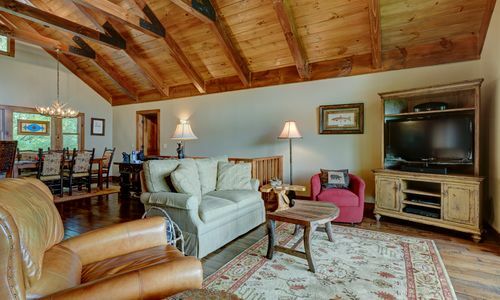 High vaulted ceilings with wood beams cross overhead. 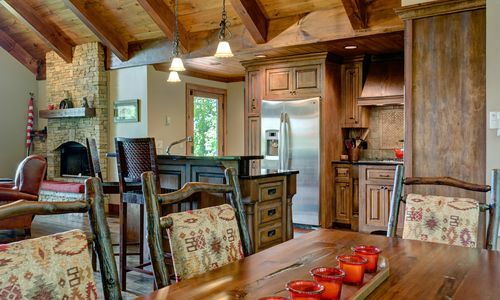 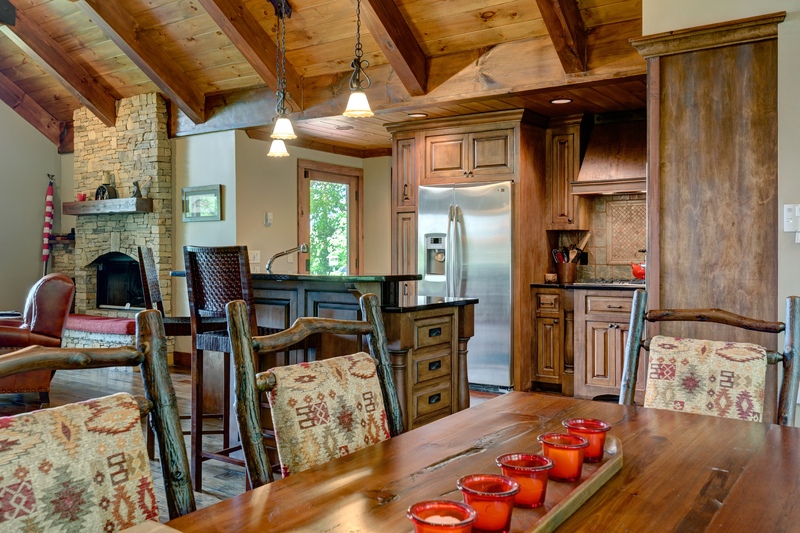 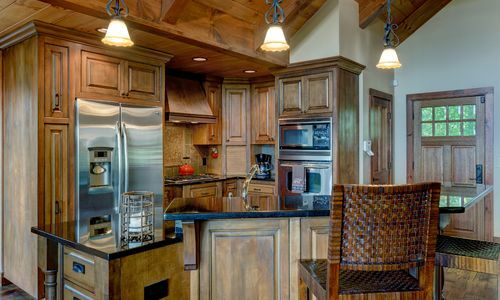 The kitchen flows openly with the dining area and living room with stone fireplace. 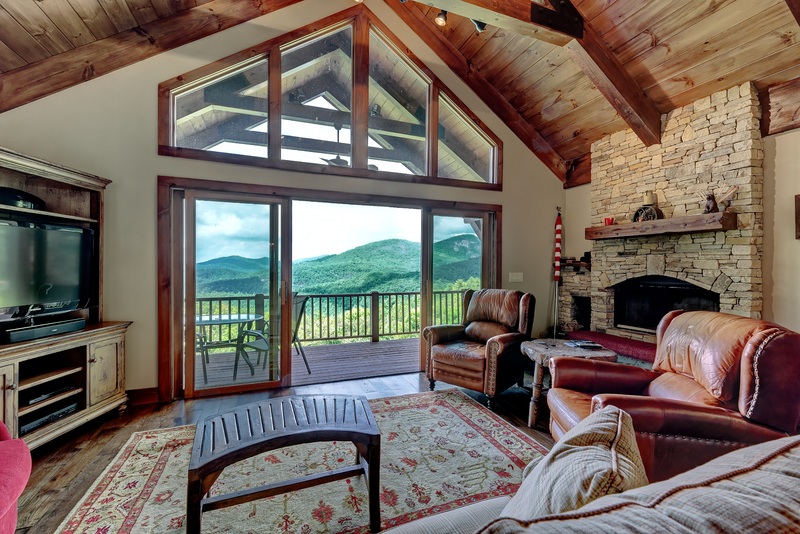 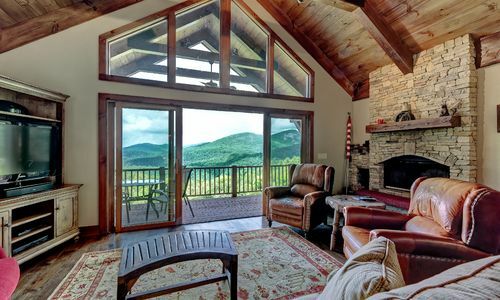 Large windows and French doors open to the covered deck and the immense views of the valleys and mountains beyond. 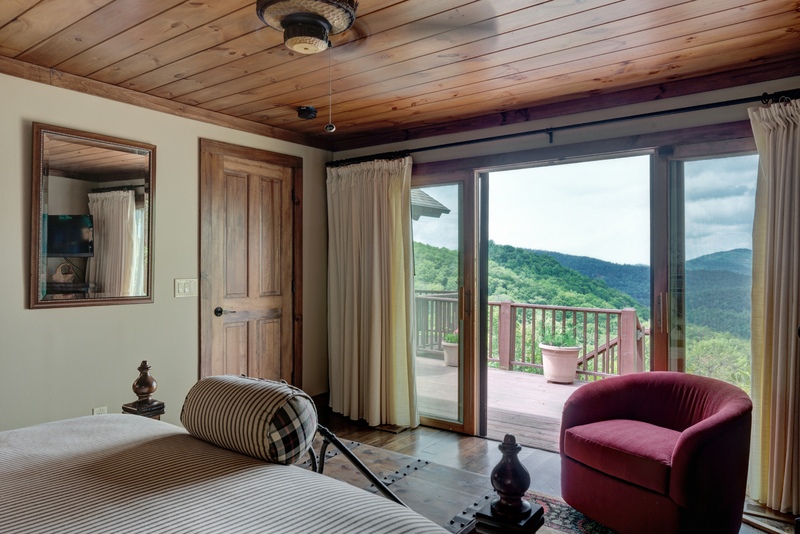 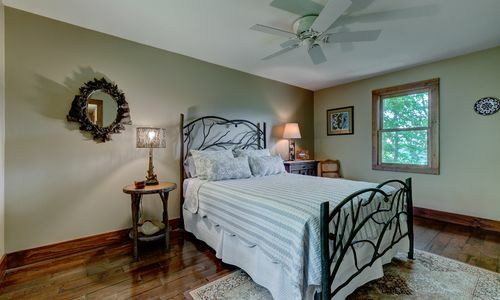 The master suite and 2 guest rooms are also found on the main level. 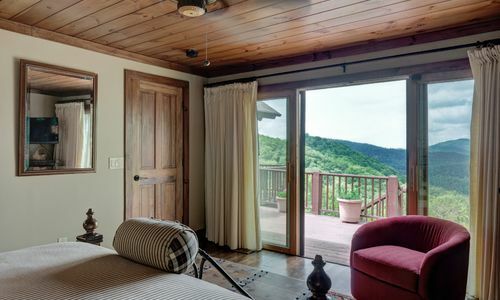 Set on the opposite end of the home from the guest rooms, the master has equally as stunning views of the mountains from a large glass door where you can access the open deck. 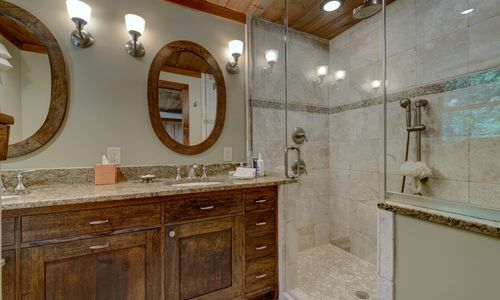 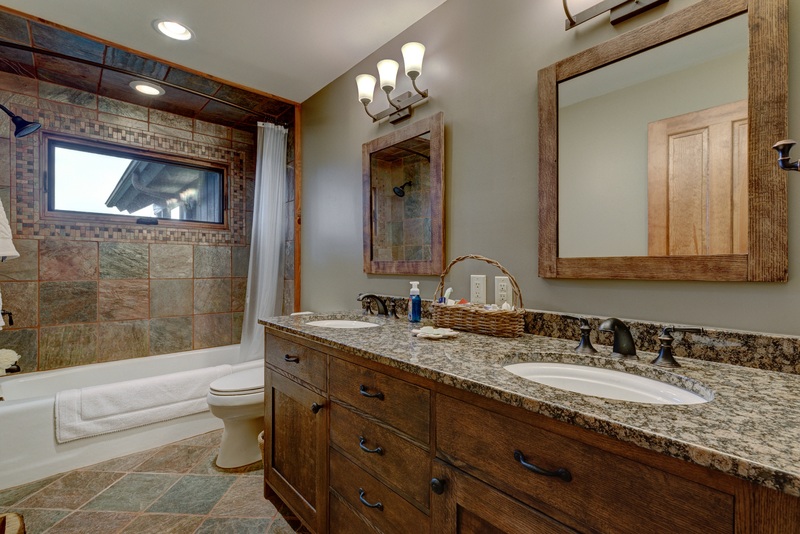 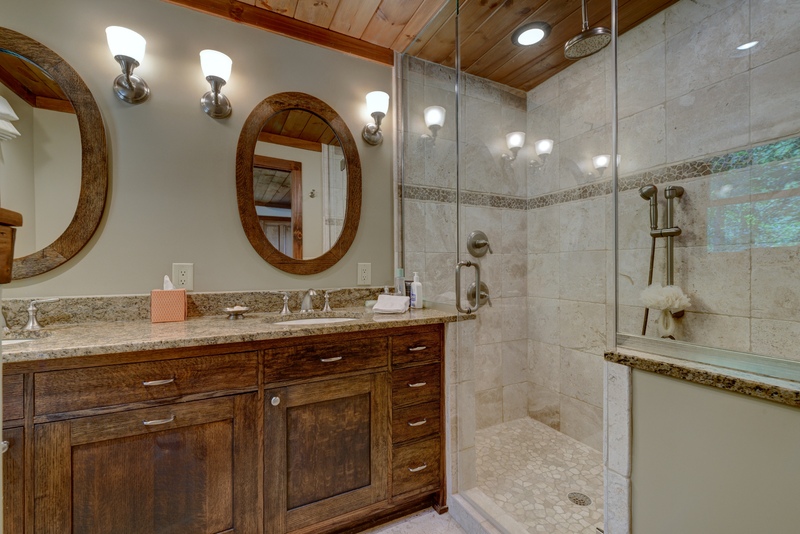 The bath is a luxurious escape with custom granite-topped dual vanities, multi-head steam shower and towel warmers. 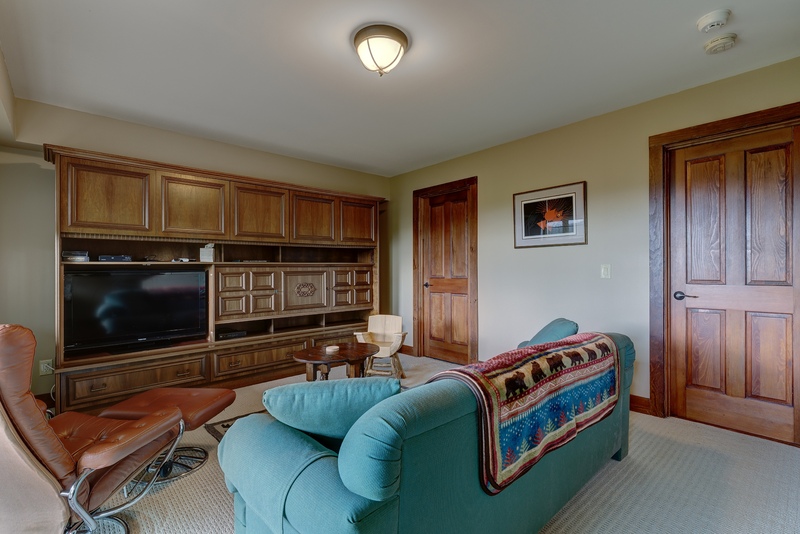 A cute family room can be found on the lower level of the home… a great place for guests to hideaway and relax. 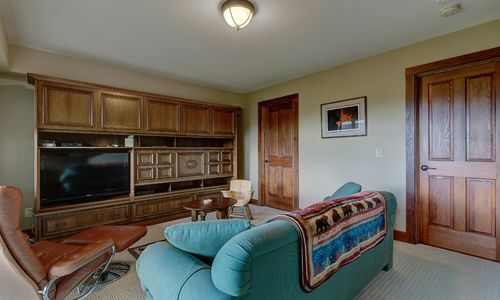 The laundry can also be found on this level and there is access to the attached garage. 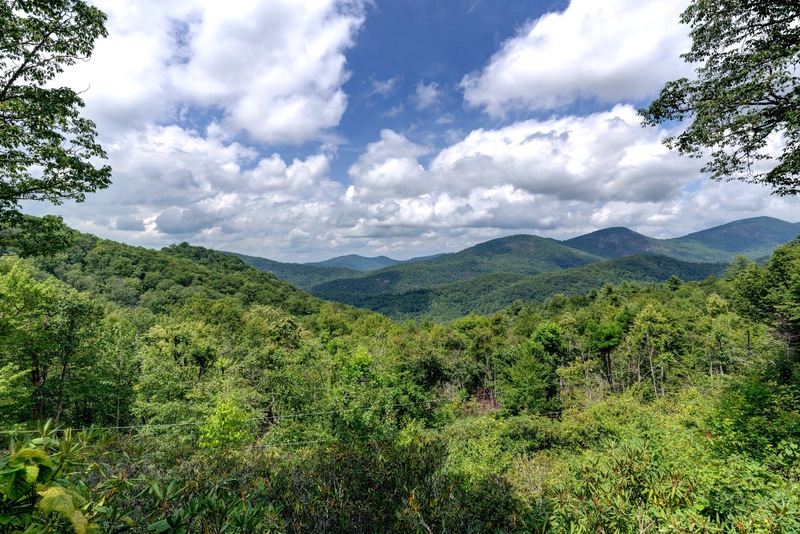 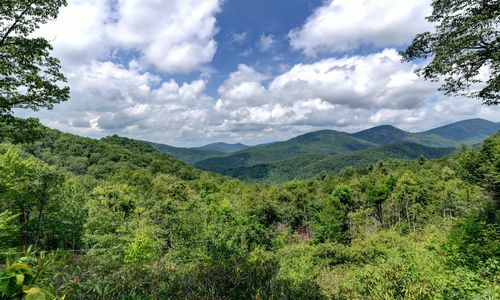 With just shy of 3 acres of land and adjoining National Forest Service lands, this is a great property for exploring, hiking and wildlife watching.